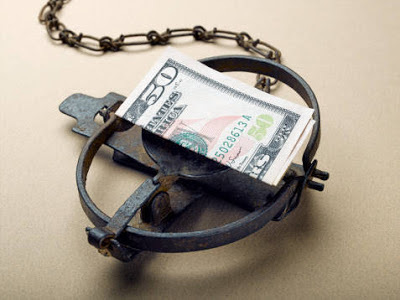 Is it SAFE to Invest in Private Retirement Scheme (PRS) ? This is one of the common question asked by potential PRS contributors. First, I want to emphasize that PRS is a long-term investment for the purpose of retirement planning. In investment case, long-term means you already using the most powerful method to reap a good return. Anyway, many contributors still want to treat PRS as some kind of short-term investment. I got the answer for you. Basically, PRS is very similar to unit trust investment. The underlying structure and investment philosophy were the same actually. No wonder many people perceived PRS is another unit trust scheme. Yes, you're correct to a certain extent. When were you started to join the modelling/entertainment industry? And, how? Still remember that when I am still in school, one of my friend got a freelance job and she needed someone to accompany her. She asked few of our friends on trying to get the job, while I'm like no harm, just try. But, in the end, only I myself got the job. This is how I started by becoming a freelancer and keep doing it until making it as my career. What's your BEST achievement so far? What are the TAX benefits from Private Retirement Scheme (PRS)? Tax relief of up to RM3,000 per year will be given for contributions made within that year. This is on top of existing tax relief already enjoyed by taxpayers. How much can you save from tax? Let's look at the table above which illustrates the amount of tax saving an individual get after personal tax relief and RM6,000 EPF + Life Insurance tax relief. 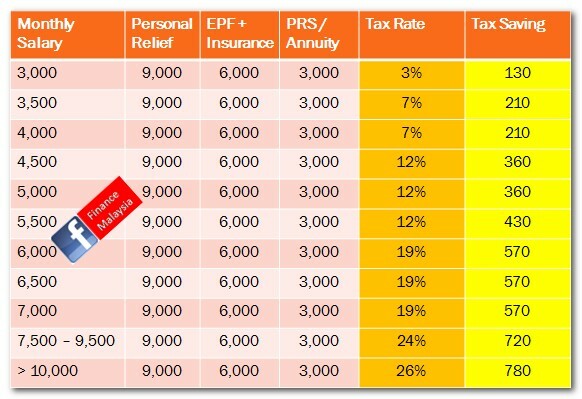 Assuming maximum RM3,000 PRS relief, the amount of tax saving depends on your level of income. For high tax bracket individual, you can save up to RM780 annually!!! 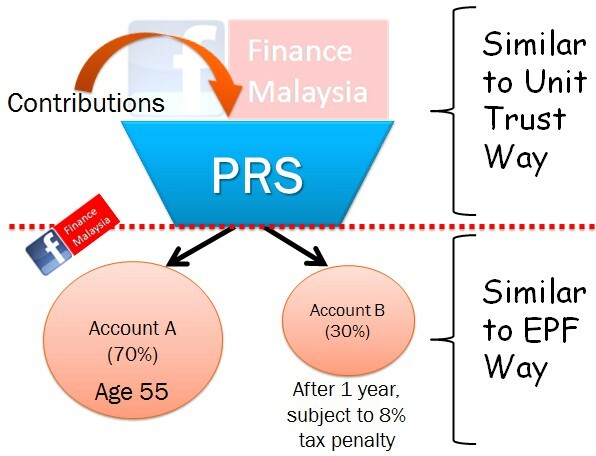 How Private Retirement Scheme (PRS) works actually? Many people are still in the dark on how actually Private Retirement Scheme (PRS) works. In order to clear everyone's mind, we hope this post was timely for those who may want to entitle for extra tax relief of up to RM 3,000 given by PRS before 31st December 2012. To further explain the whole scheme, Finance Malaysia Blog was glad that Alex Yeoh, a licensed financial planner is able to share with us on this matter. 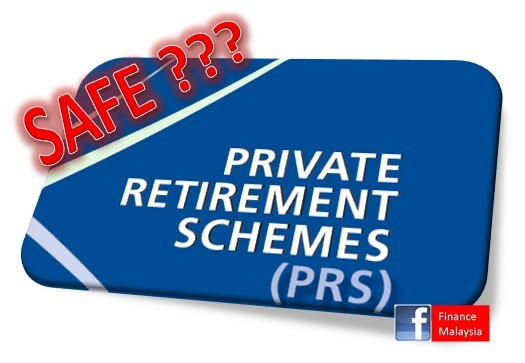 First we must know that PRS is a voluntary scheme for the purpose of retirement saving. For ease of understanding, let us look at the picture above which explain the process into two parts. Initially, contributions were made by us into the PRS fund that we select. It was as flexible as normal unit trust investments (shown in upper part). Contribute anytime any amount as you like, without any specific intervals. As simple as that. As investor continue to seek safe investment havens, i.e. investments that are more stable and/or of lower risk and with regular income, OSK-UOB Investment Management see opportunities in the Asia and Asia Pacific (ex Japan) region. Hence, they are now offering investors a fund that utilizes a multi-asset strategy to generate potential regular income and capital growth in a fund that invests in three yielding assets i.e. bonds, equities and REITs (real estate investment trusts) from the Asia and Asia Pacific (ex Japan) region. wish to benefit from investment exposure in the Asian and Asia Pacific (ex Japan) region. No doubt, many investors prefer only invest in dividend-based counters. Malaysia is famous and already been recognized as one of the hottest spot for those looking for high dividend yields counters. But, things may changed. Why? First, how do we calculate dividend yields? It's dividing the one year dividends declared by share price. Normally, yield which is higher than 5% was considered attractive. Just when everyone looking to hide their money from risks, yet aiming for higher returns than putting into fixed deposit (3% p.a), dividend counters seems to be their preferred selection. Should we follow the "professionals"?